One of the great aspects of this video, is the introduction of the new audio/visual technology, the Laser Disc. These original discs were the precursor to the development of CDâ€™s, DVDâ€™s, and Blu-ray formats that would follow. Itâ€™s incredible to hear how the sale people and newscasters talk about the features and benefits of this upcoming revolution in the audio and visual medium. This is especially interesting considering the other methods of enjoying A/V content, such as the 8 Track, cassette tape, VCR, LP record have all become obsolete and with the exception of the resurgence of the LP record player, the other formats are no longer being manufactured in any measurable quantities. 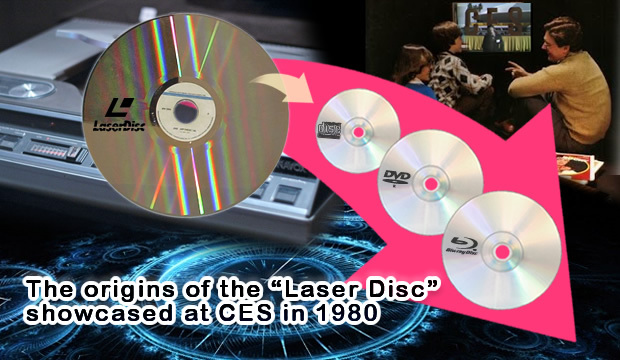 However, the â€œlaser discâ€ is going on 40 years and it is still heavily used to play and record A/V content for both personal use and mass distribution. Maybe not in the volumes we saw at the height of its popularity, but certainly in volumes that show itâ€™s not going to disappear anytime in the near future. Itâ€™s great to take a stroll down memory lane, or in some cases if you were born after 1980, to have the opportunity to visit a past you never knew. To me, it highlights the incredibly fast pace of change and growth in the technology field, but at the same time, shows me how some technology continues to evolve with the times, such as the optical discsâ€™ evolution from CD to Blu-ray.